Want to gain some hands-on composting knowledge? Try these workshops coming up. Join the Whatcom Conservation District and a panel of experts and local landowners to discuss better nutrient cycling to help farmers during “Composting on Your Farm: Nutrient Cycling for Fun & Profit” on Thursday, April 18. As part of the Farm Speaker Series, the discussion will include reducing unintended losses and enhancing nutrient uptake efficiency, as well as tapping local nutrient sources and reducing exports of nutrients in farm products. The workshop will also show how to bring animal densities in line with the land base of the farm and how to develop local partnerships to balance flows among different types of farms. 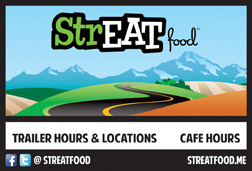 The workshop starts at 6 p.m. at Smit’s Compost, 9039 Guide Meridian, Lynden. 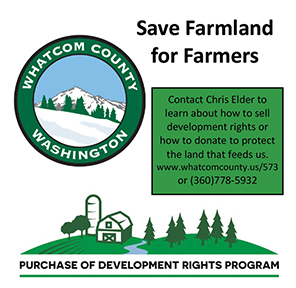 For details, see https://whatcomcd.org/calendar/month. RSVP to Corina Cheever at ccheever@whatcomcd.org. The Blaine C.O.R.E. (Community Orchards for Resources and Education) community group presents “Worms and Composting” on Saturday, April 20. All home gardeners and anyone interested in learning the basics of food waste “recycling” are welcome to attend. See how easy it is to manage worms inside and out, and how to get started. The free workshop starts at 10 a.m. at the Blaine Library, 610 3rd Street, (360) 305-3637. The Master Composters from WSU Whatcom Extension will share home composting methods during a workshop on Saturday, May 4. Introduction to Home Composting will include what you need to know to compost your garden waste and kitchen scraps at home. Get the pros and cons of various systems, plus how best to use your finished compost in the garden or landscape. The cost is $15 per person, and registration is recommended. The workshop starts at 1:30 p.m. at Cloud Mountain Farm Center in Everson. To register, see https://www.cloudmountainfarmcenter.org/workshops. Looking for more composting resources? 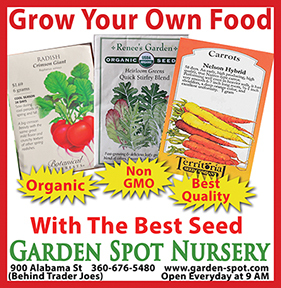 Download materials from WSU Whatcom County Extension Community Horticulture at http://www.whatcom.wsu.edu/ch/compost.html. 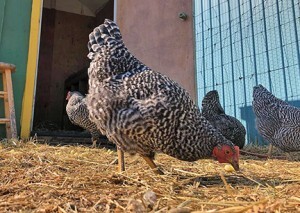 Residents with poultry questions have a few options for informational classes this month. Dalia Monterroso, creator of the YouTube Channel “Welcome to Chickenlandia” and ambassador for Scratch and Peck Feeds, will lead two workshops. Backyard Chickens will be held Wednesday, April 10 to teach you everything you need to know about having a backyard flock. The workshop starts at 4 p.m. at the Blaine Library, 610 3rd Street, (360) 305-3637. On Saturday, April 27, Monterroso will present Spring Chickens at the Chuckanut Center. All ages are welcome to join in and learn all the basics about raising baby chicks. The workshop begins at 10 a.m. Chuckanut Center, 103 Chuckanut Dr N, Bellingham. For tickets, see chuckanutcenter.org. Admission is $10 per adult/family and free for children. Growing Veterans is offering a workshop, Growing Chickens, on Friday, April 26. In partnership with Scratch and Peck Feeds, Growing Veterans will show you how to incorporate chickens into your garden/farm, and all the introductory issues you will need to know about care. Plus, learn how to sprout your very own feed for a healthier flock. 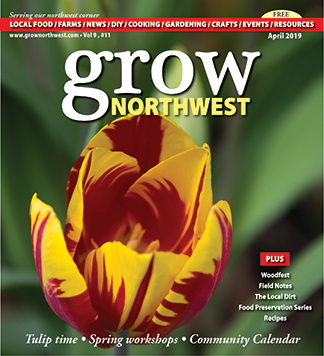 This free event will be 10 a.m. to 2 p.m. at Growing Veterans, 6458 Martin Place, Lynden. RSVP through the Facebook event page or call (360) 445-2399. 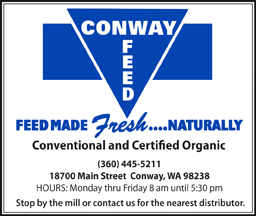 If you need more helpful tips and questions, always head to your local farm and country store, or discuss through Whatcom and Skagit social media poultry and homesteading groups.